A conceptual design project collaborated with the Universal Electronics, Inc. (UEI). 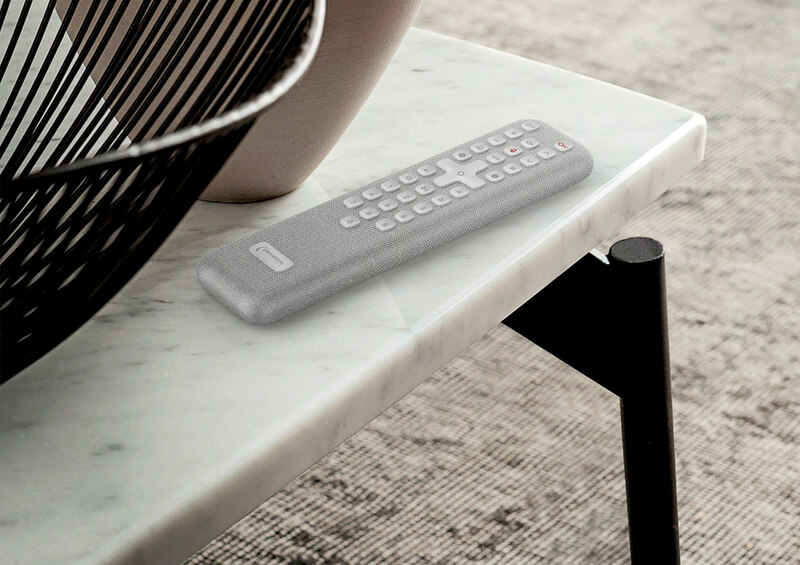 The CORE remote control features a unique design that separates its functional core unit from the aesthetic layer. 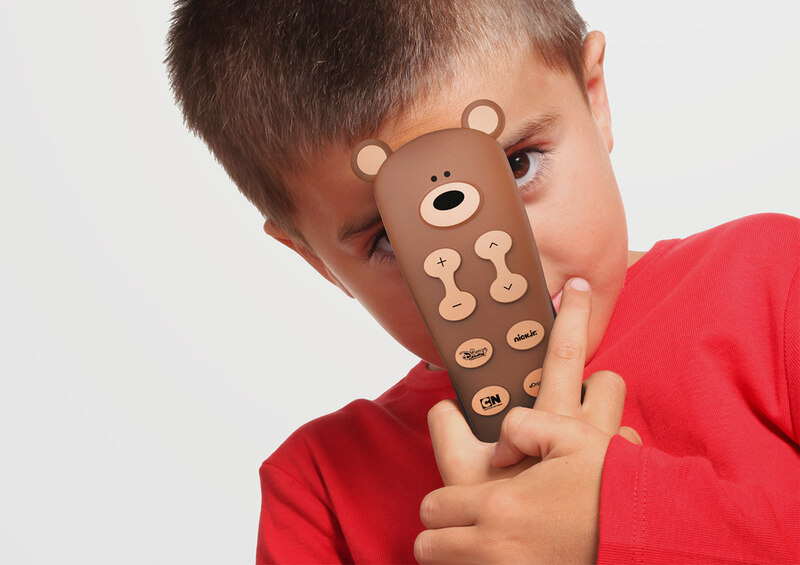 This configuration allows for the ease of personalize by consumers, flexible design customization by TV service providers, and streamlined refurbishment by the manufacturer. 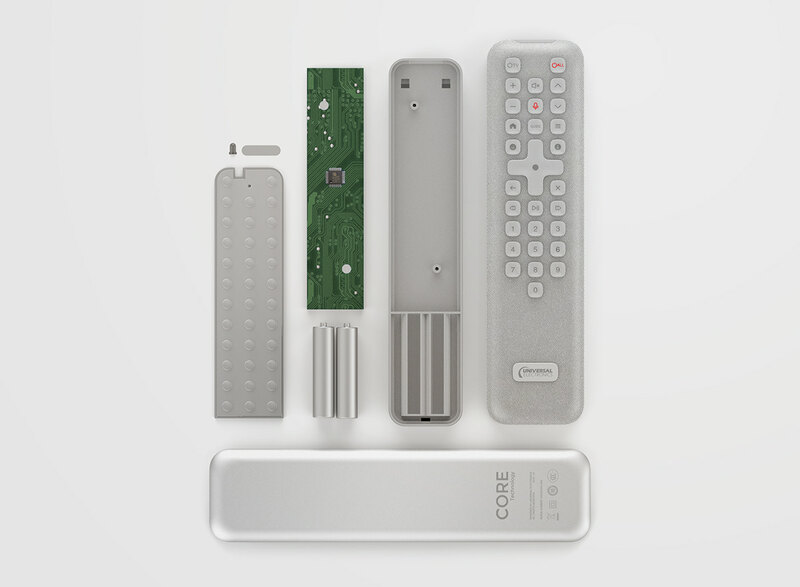 The CORE remote’s exterior consists of a silicone rubber top cover with integrated keypad, and an injection molded ABS bottom cover. 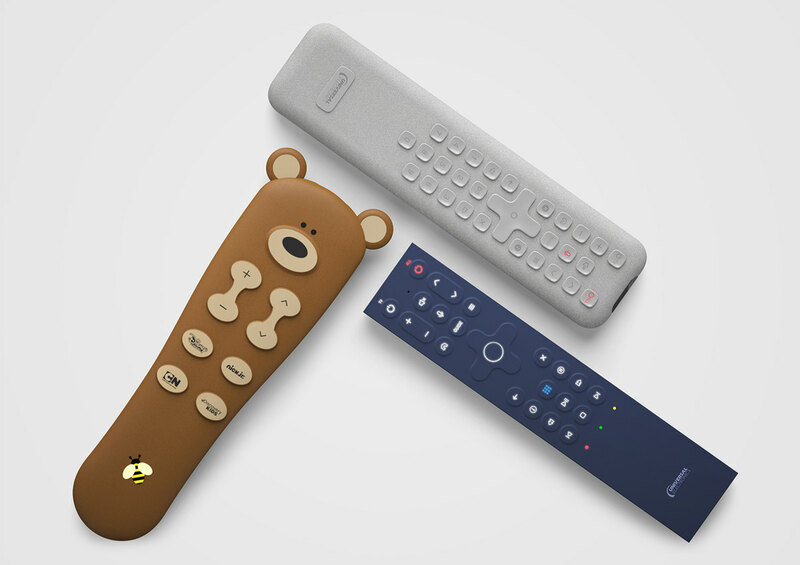 The rubber top is stretchable, allowing the consumer to replace it for personalization. The bottom cover can be opened to replace batteries. 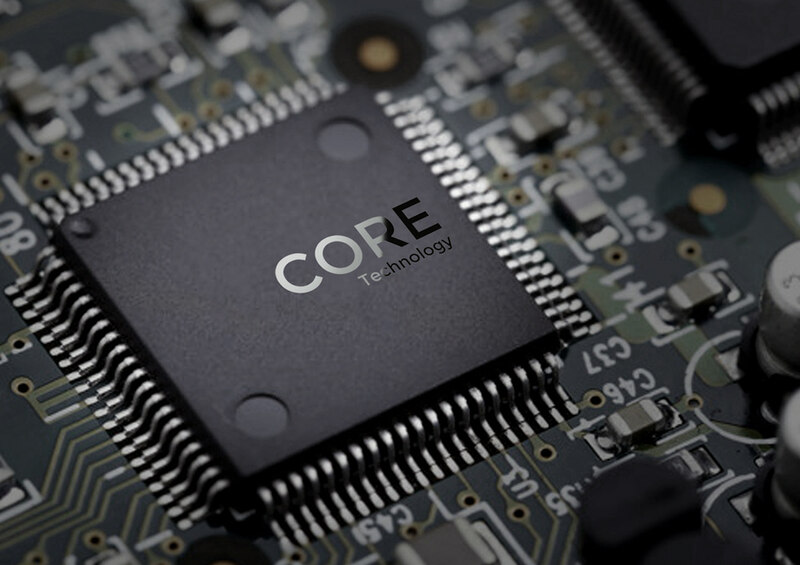 For refurbishment, the manufacturer replaces both the top and bottom covers, and reuses the internal core. An injection molded translucent ABS skeleton holds together the PCB assembly, and allows IR signals to pass through. The PCB features a standard metal dome grid to accommodate multiple keypad designs. The unique soft top cover provides an approachable and friendly feel to a product that’s often perceived as complicated and intimidating. The rubber material also makes pure geometric forms with edges more comfortable in the hand. 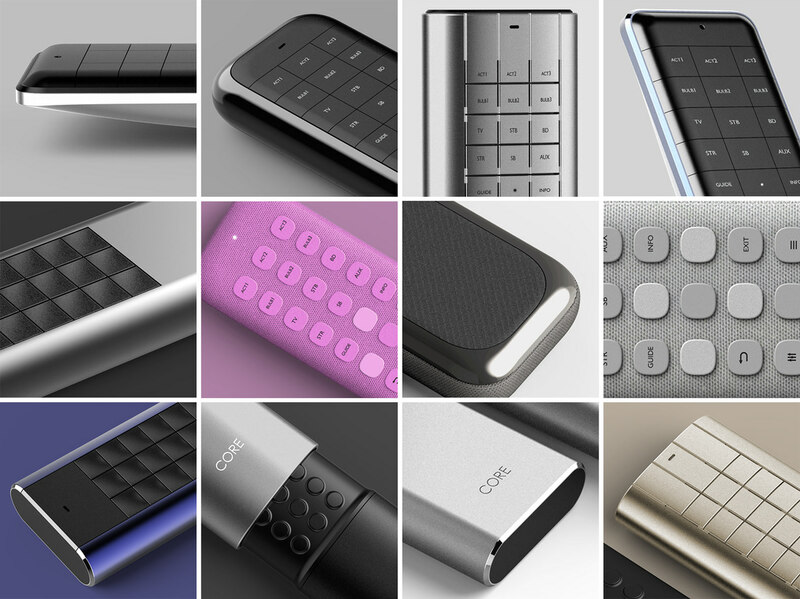 Keys are seamlessly integrated into the top cover eliminating key gaps. This design not only results in a cleaner surface, but also allows labels to dynamically show or hide through back lighting. For example, digit keys can be hidden and only appear when the user needs to enter a channel number, resulting in a simpler and more usable remote. 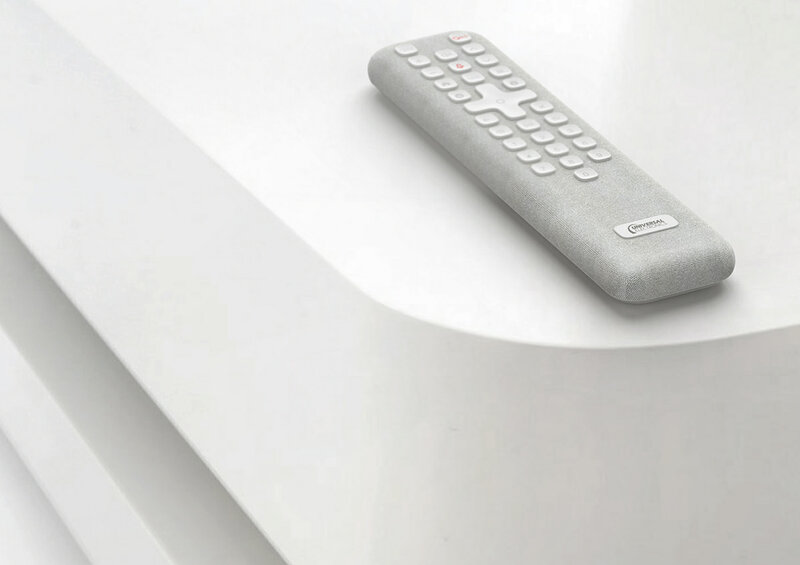 The CORE remote control features a unique design that separates its functional core unit from the aesthetic layer. 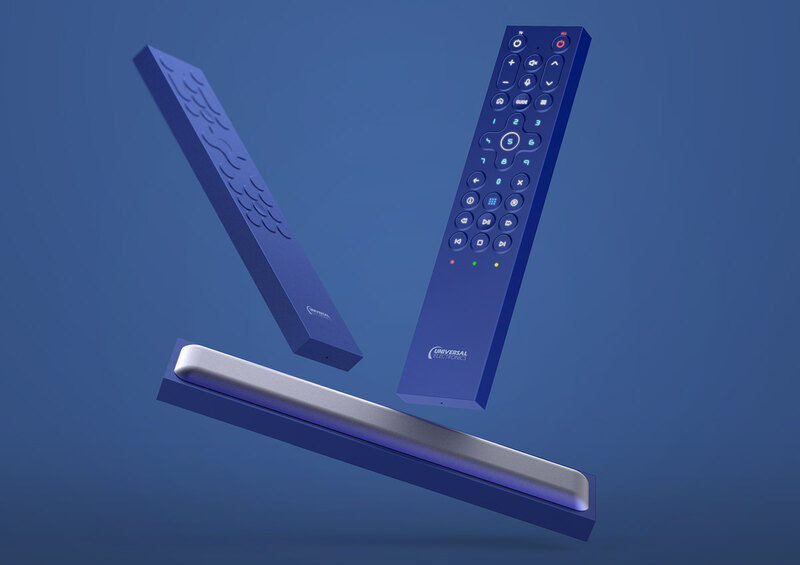 This configuration allows for the ease of personalize by consumers, flexible design customization by TV service providers, and streamlined refurbishment by the manufacturer. 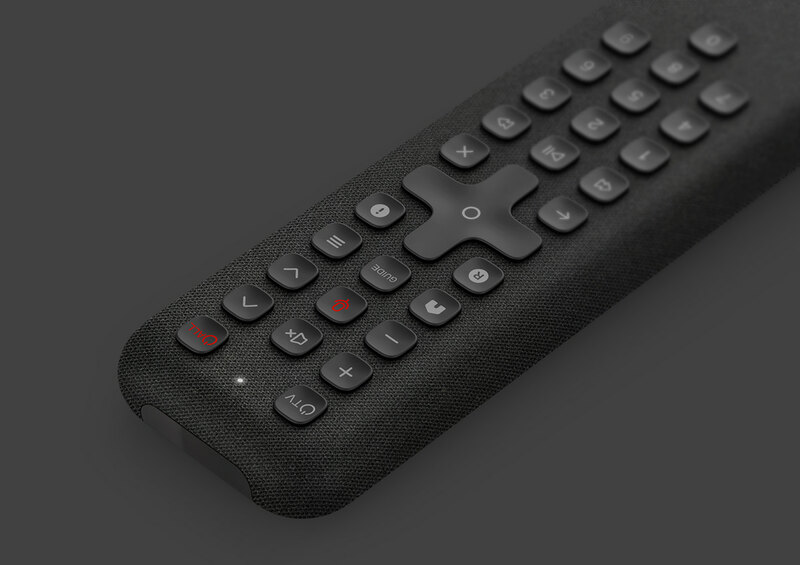 The CORE remote’s exterior consists of a silicone rubber top cover with integrated keypad, and an injection molded ABS bottom cover. 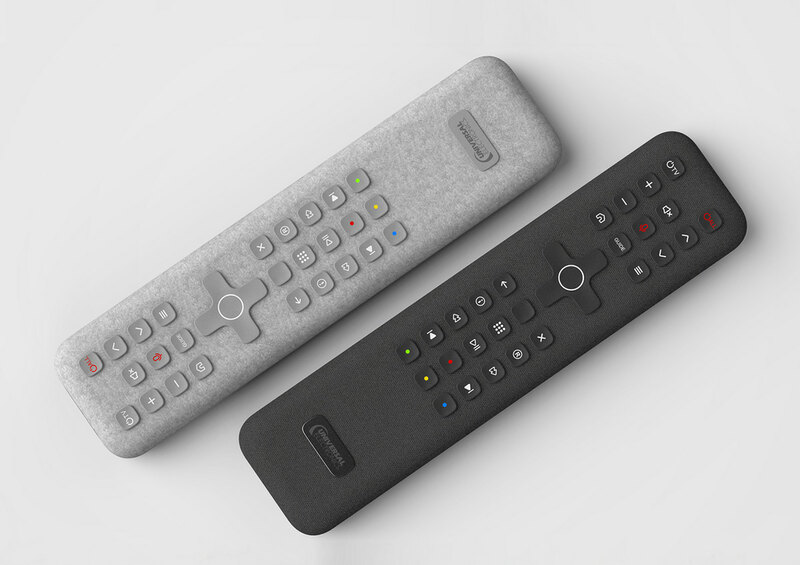 The rubber top is stretchable, allowing the consumer to replace it for personalization. The bottom cover can be opened to replace batteries. For refurbishment, the manufacturer replaces both the top and bottom covers, and reuses the internal core.